Click here to download a larger version of this map (PDF). Please enjoy your stay at Lakeside Camping. In order to maintain our park so that you get the most out of your stay in a clean, healthy and safe environment, please take a moment to read our park rules. 1. Check-out time 12:30PM. If site is not reserved, $5.00 charge until 6:00PM. After that, classed as another day. 2. 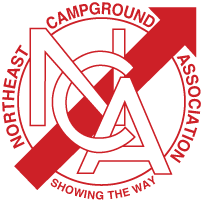 All campers and camper visitors are required to register. Each camper is responsible for signing in his guests and for those guests’ behavior. There is a ONE car limit per site at all times. Visitors report out of area by 9:00PM. 3. 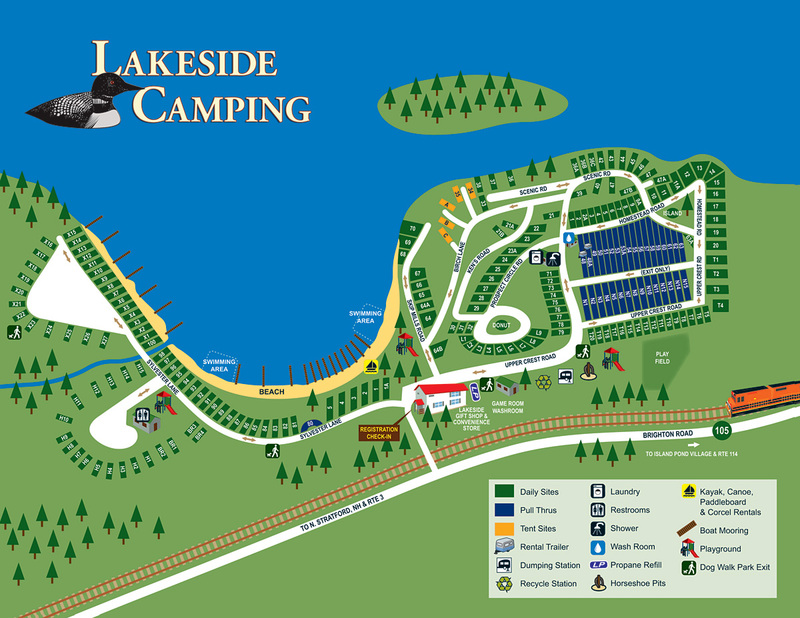 Lakeside Camping is not responsible for loss or damage to personal property. 4. Leave all facilities that you use in a clean and attractive condition for the next camper. 5. Washing dishes at the water faucet is not permitted. 6. All pets must remain on leash, and walked on dog paths outside the campground only. 7. Use of firearms and fireworks, air rifles, sling shots, knives, or bow and arrow are not permitted. 8. Disorderly conduct, intoxication, obscenity, indecency, unsafe or unsanitary acts are not permitted. 9. Damaging, destroying or defacing trees, or peeling bark is not permitted. 10. Swimming areas: Main beaches with playground. All persons swimming or bathing do so at their own risk. Beaches and playground close at 9:00PM. 11. Children ages 12 and under should never be left unattended without parental supervision anywhere on our grounds. 12. 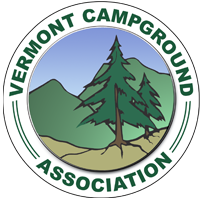 No mini bikes, four wheelers, bicycles, or any other unregistered wheeled vehicles may be ridden in the campground. Golf carts may be allowed with prior authorization from the office. 13. Flowers and other vegetation shall not be picked. 14. Don’t throw stones or litter in the water or woods. 15. Walk on the roads only, not on the paths through the woods or the bankings. 16. Tents and screened-in dining areas are not to be put on the grass. 17. Household garbage requires a special labeled bag purchased at the office. Please recycle items at the recycle station. 18. Quiet hours: 11:00PM - 7:00AM.